After months of preparation, fine-tuning and testing, we have finally launched our new game layout. The new game layout is expected to attract many new players to the game and also to increase the number of user-made skins due to the wider versatility of this graphics pack. A Content Delivery Network (CDN) has also been implemented to make the graphics delivery faster worldwide. Additionally, Astro Empires has gone multilingual with the addition of the Portuguese language, which is expected to be the first of many new languages being added to the game. 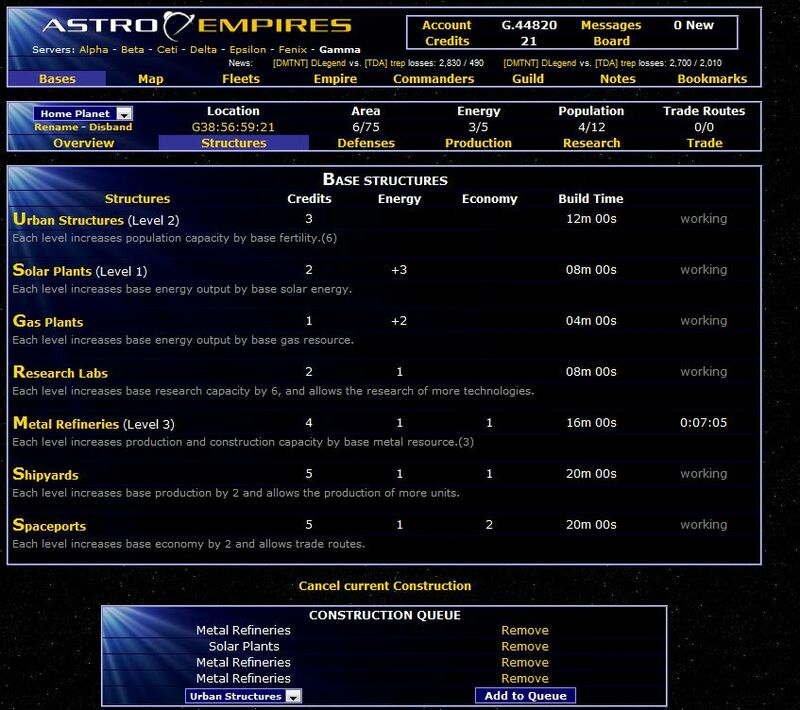 ABOUT ASTRO EMPIRES – Astro Empires is a Browser-Based Massively Multiplayer Online Game, in the genre of Space Strategy played on a Persist Universe. 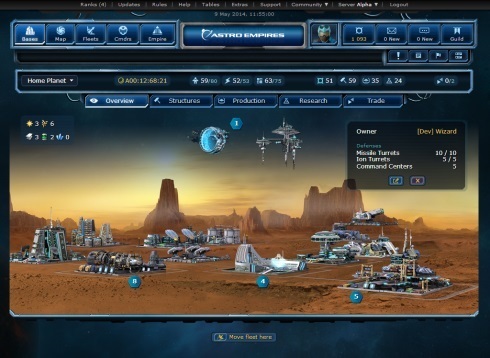 It was launched on the 20th of May 2006 and today has over 40.000 active players between 7 different universes.